On Wings of Eagles: Are You Using the Gifts God Has Given You? Are You Using the Gifts God Has Given You? 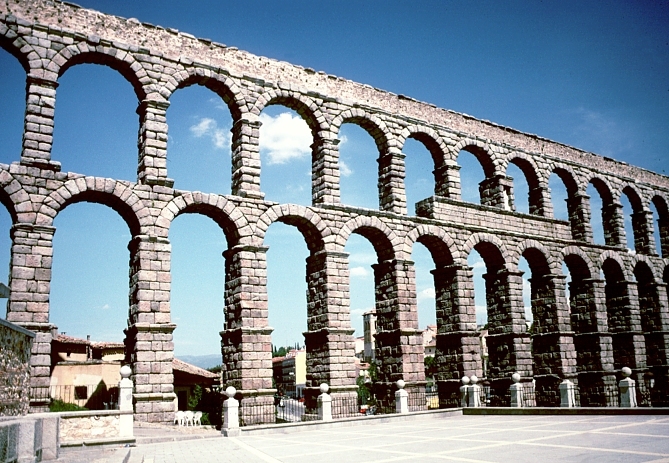 For centuries, the Roman aqueduct in Segovia, Spain stood as a supreme monument to civil engineering. Spanning a bowl-shaped valley, the two-tiered, bridge-like structure stretches more than half a mile and tops 95 feet at its highest point. Its massive gray columns, like the legs of a giant elephant, dominate the quiet neighborhoods that flank it. Assembled without mortar sometime during the first century after Christ, the aqueduct carried river water to the town without interruption until 1972, when engineers rechanneled the supply entirely though underground conduits. Unamuno, the Spanish philosopher, wrote about the aqueduct: "For eighteen hundred years, it carried cool water from the mountains to the hot and thirsty city. Nearly sixty generations of men drank from its flow. Then came another generation, a recent one, who said: 'This aqueduct is so great a marvel that it ought to be preserved for our children, as a museum piece. We shall relieve it of its centuries-long labor.' They did; they laid modern iron pipes. They gave the ancient stones a reverent rest. And the aqueduct began to fall apart. Air pollution began to corrode away at the newly exposed granite stones. What ages of service could not destroy idleness disintegrated." If we do not exercise the gifts the Lord has given us, they will erode because of idleness. Are you using the gifts God has given you? Dear Lord, thank You for the gifts You have given to each of us. We pray that we would use them to bring honor to You and Your work. In Jesus’ Name, Amen. Would You Take an Egg to Share the Gospel? Are you a Living Message? Amassing Distracts us From God! Are You Connected to The Umbilical Cord? Kea - Love Righteousness and Hate Wickedness.